While one committee was deciding that Kobe Bryant shouldn’t be invited to join the Academy of Motion Picture Arts and Sciences four months after he won an Oscar for the short film “Dear Basketball,” other AMPAS committees have been trying to determine just how generous they ought to be in finding prospective new members. And in many cases, they have been faced with a tricky decision: Stick to the written guidelines or use the nebulous escape clauses built into Academy rules to invite people who might not otherwise qualify? Such are the pitfalls at a time when the Academy is trying hard to become less overwhelmingly white and male, by inviting hundreds of increasingly diverse new members to join the organization. As committees in the 17 Academy branches came up with lists of prospective new members over the past two months, though, members who participated in the decisions told TheWrap that the focus has been on finding lots of new members, whether or not they strictly meet the written requirements. That last clause is being invoked more and more often, said the committee members, some of whom expect that this year’s class will be as large as the record-breaking 2016 and 2017 classes. Can they possibly find as many prospective new members as they have the last two years, when they invited 683 in 2016 and 744 in 2017? And what will this mean to the diversity goals that were set by the Academy at the height of the #OscarsSoWhite protests in 2016, when then-president Cheryl Boone Isaacs pledged to double the number of women and non-white members by 2020? 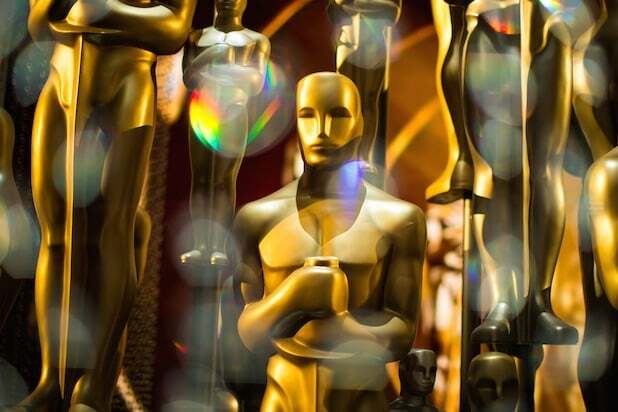 On the surface, it seems unlikely that the Academy, which has combed the globe for prospective Oscar voters for the last two years, can find another class as large as the last two. But we thought that would be the case last year, that they surely couldn’t find another 683 qualified film professionals — and they proved us wrong by topping that number by almost 100. And several of those who participated in the process so far this year say they expect another huge group of invitations, based on the wide net that has been cast and the willingness to invite people who in past years would not have made the cut. When it comes to the diversity goals that Isaacs announced two and a half years ago, the Academy is way ahead of schedule on one count, but significantly behind on another. At the time that Isaacs pledged to double the female and non-white membership, the Academy had 6,436 active members, with 6,124 of them eligible to vote for the Oscars. AMPAS figures revealed that the membership at that point was 75 percent male and 92 percent white — so if those figures are accurate, the diversity pledge required them to add about 1,609 female members and 515 non-white members. On the latter front, the Academy has essentially achieved its goal: Again using AMPAS percentages, about 280 nonwhite members were invited in 2016, and another 232 in 2017. 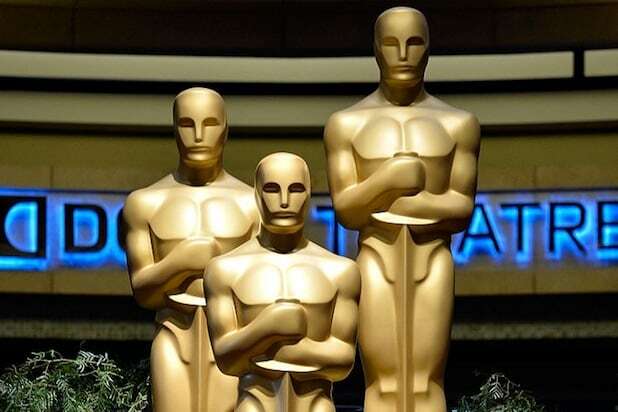 Depending on how many of those declined the invitation, a figure the Academy does not reveal, the organization is likely at or very close to its goal, making it a virtual certainty that it will have doubled the number of non-white members as soon as this year’s invitations go out. The goal of doubling the number of women members, though, is not so easily attained. The Academy needed to add more than 1,600 women, and they invited 315 in 2016 and 302 in 2017. That leaves them almost 1,000 short, with the classes of 2018, 2019 and 2020 still to go. To truly double the number of female members it had at the time the challenge was announced, then, the Academy would need to average more than 330 new female members for the next three years, more than they achieved even in the last two record years for new admissions. And while the numbers are going up dramatically, the Academy is not just adding women and people of color. Given the record size of the last two classes, they are also adding lots more white men. Since the 2016 Academy already had more than 5,900 white members and 4,800 men, the diversity percentages can only increase slowly. That’s what the branches have been up against as they looked for members of the Class of 2018, and what the board will be facing as they vote on hundreds of prospective members on Saturday. The Academy is making progress, and making it more quickly than many of us thought they would. But it wasn’t easy in 2016 and 2017, and it’s not going to be easy in 2018. The list of new members will be announced early next week. The Motion Picture Academy made amazing strides in its goal to diversify membership -- but some of their invites this year are questionable. Read on for TheWrap's tally of oddballs, and people you would think have been members for years. The Old Spice spokesman has had an impressive if not niche acting career. Still a bit of a head-scratcher, but the man brings a ton of joy and muscles wherever he pops up, so we'll take it. The kitschy '70s start ("The Incredible Hulk" TV series) mostly takes B-movie action roles or plays heightened versions of himself ("I Love You, Man"). But we'll welcome him with a smile because we know what happens when he gets angry. With all due respect to child stars who chug along into adulthood as actors, including "Harry Potter"'s platinum blonde baby villain, this seems like a stretch -- or perhaps a nod to the iconic books turning 20 this year. Same thing goes here for Grint, the lovable Ron Weasely. How in GOD's NAME was this show business legend not already an Academy member? But this is another example of "Its' Never Too Late" in the 95-year-old's career. Allen is best known for playing Lydia in the iconic film "Fame," but she's long been a choreographer for the Oscars telecast. She's essentially the Bruce Vilanch of dance at the Academy, so this is a long-overdue internal promotion. Hunt was a national treasure during her late-aughts TV show and a rare female producer and star, though she's mostly been putting in voice work on animated projects like "Cars" for the past decade. These R&B icons, most famous for their shepherding of Janet Jackson's most memorable albums, might seem curious additions to the film academy. The men have put in hundreds of songs on movie soundtracks over the years, however. Don't get us wrong, we're obsessed with Triplehorn. "Sliding Doors"? Amazing. "Big Love"? She was the show. But the actress does fall somewhere on a spectrum of "Why isn't she already a member" and "Really?" It's confounding to think Whedon was not previously invited to join the Academy's ranks. Not only is he a commercially proven force, thanks to his "Avengers" gigs, but he can do high-brown (like his contemporary take on Shakespeare's "As You Like It") and cult stardom with his TV series "Buffy the Vampire Slayer."